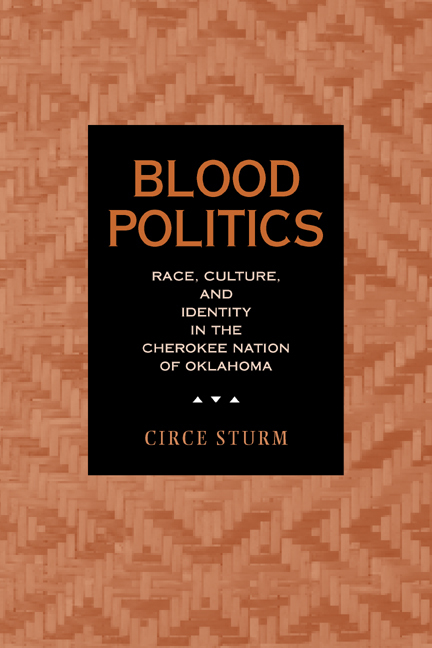 Circe Sturm takes a bold and original approach to one of the most highly charged and important issues in the United States today: race and national identity. Focusing on the Oklahoma Cherokee, she examines how Cherokee identity is socially and politically constructed, and how that process is embedded in ideas of blood, color, and race. Not quite a century ago, blood degree varied among Cherokee citizens from full blood to 1/256, but today the range is far greater--from full blood to 1/2048. This trend raises questions about the symbolic significance of blood and the degree to which blood connections can stretch and still carry a sense of legitimacy. It also raises questions about how much racial blending can occur before Cherokees cease to be identified as a distinct people and what danger is posed to Cherokee sovereignty if the federal government continues to identify Cherokees and other Native Americans on a racial basis. Combining contemporary ethnography and ethnohistory, Sturm's sophisticated and insightful analysis probes the intersection of race and national identity, the process of nation formation, and the dangers in linking racial and national identities. Circe Sturm is Assistant Professor of Anthropology and Native American Studies at the University of Oklahoma.